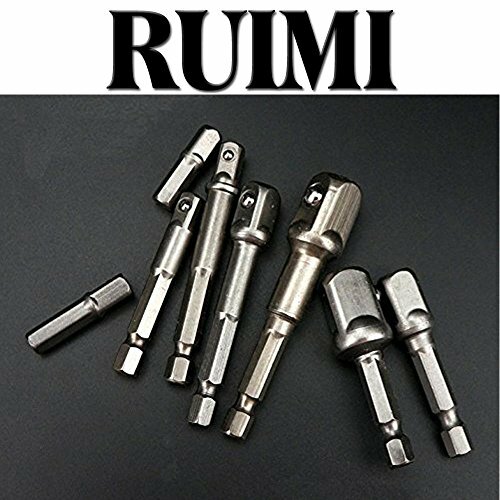 RUIMI 8pcs Socket Adapter Set Impact Hex Shank Drill Bits Set 1/4" 3/8" 1/2"
Product prices and availability are accurate as of 2019-04-10 20:53:46 EDT and are subject to change. Any price and availability information displayed on http://www.amazon.com/ at the time of purchase will apply to the purchase of this product. 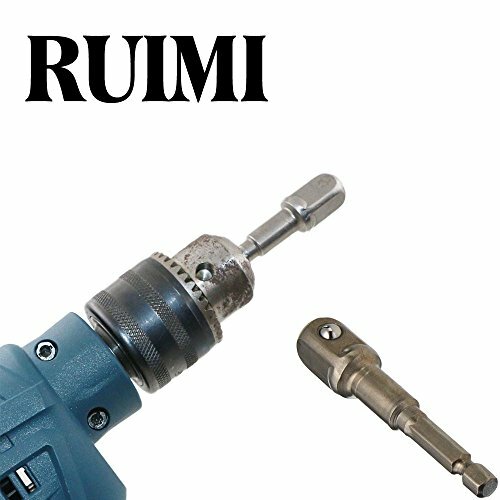 8pcs RUIMI Socket Adapter Hex sizes included 1/2" / 3/8" / 1/4" drive and 8 kinds of drive size Suitable for quick change 1/4" chuck systems or directly into drill chuck. 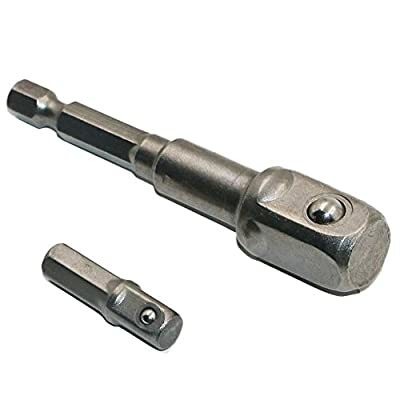 Change your hand socket set into a driven socket set. 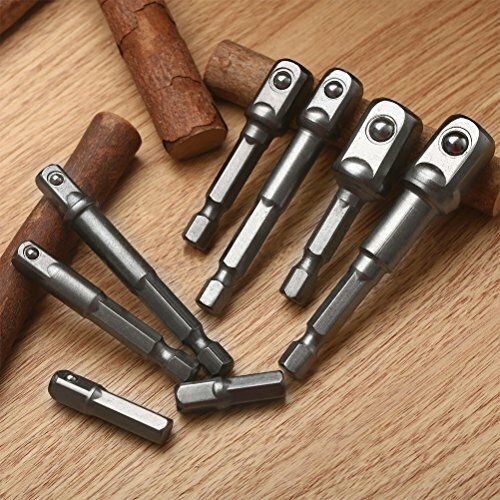 Material: chrome vanadium steel. 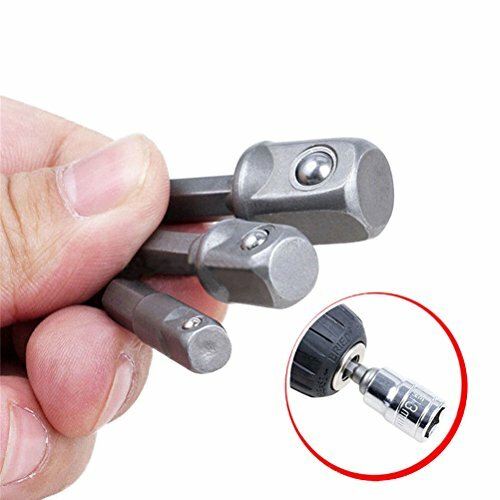 CR-V Suitable for a screwdriver or electric screwdriver handle tools (hexagonal hole or three-jaw chuck can) drive sleeve and after use can be installed on the size of the original hexagonal polygons converted to square head size, which can be used to install the sleeve is a good accessory to convert. Chrome vanadium steel suitable for heavy duty impact drivers.Spring loaded ball bearing on head holds sockets securely. 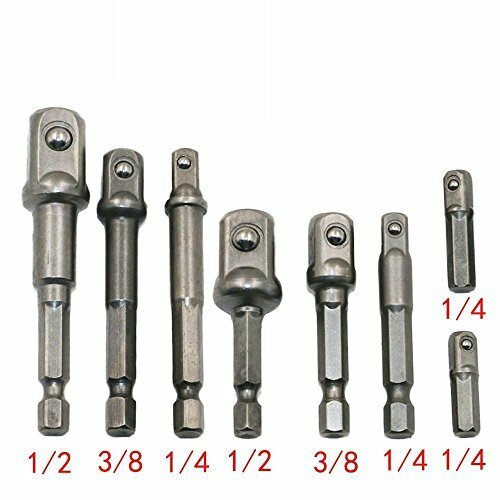 This set is perfect for your impact driver or drill, and allows you to replace your ratchet with a power tool.